Fuerth, 18th century. On stylized circular base with baluster stem. 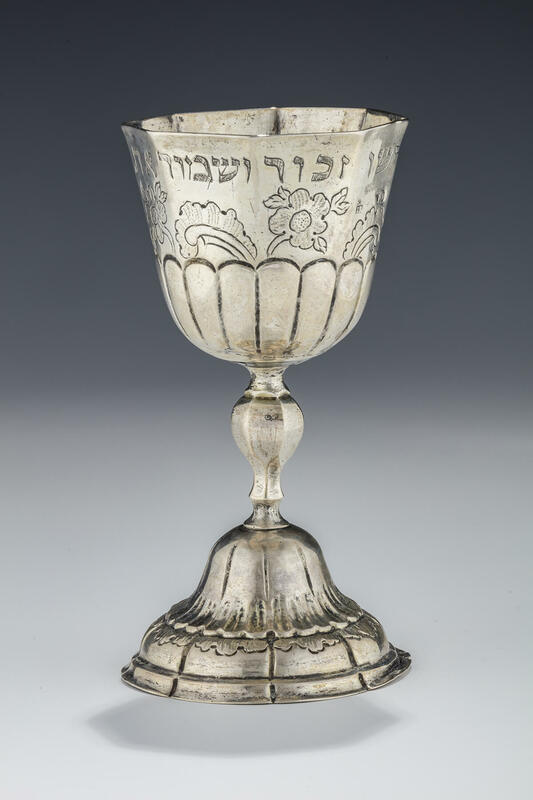 Upper portion engraved with sabbath related inscription. Early repair. 5″ tall fully marked.